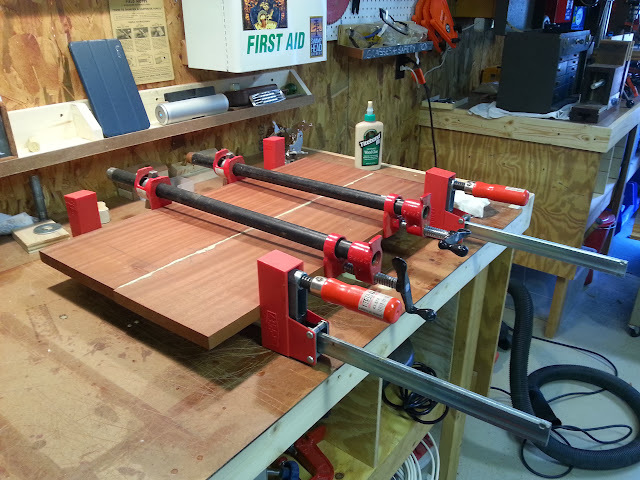 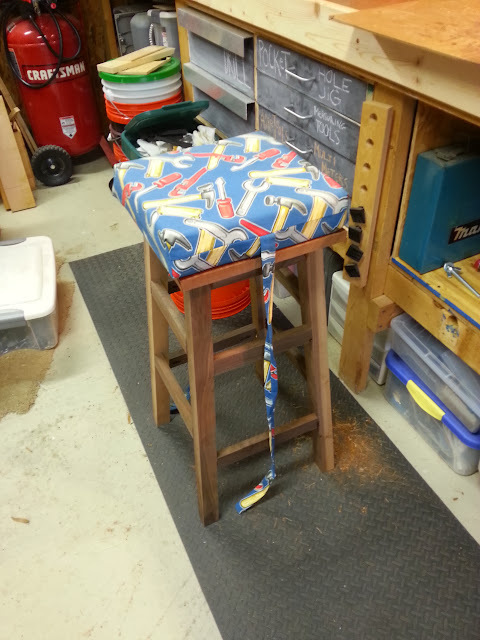 After cleaning up my shop, I realized I had nowhere to sit at the workbench. 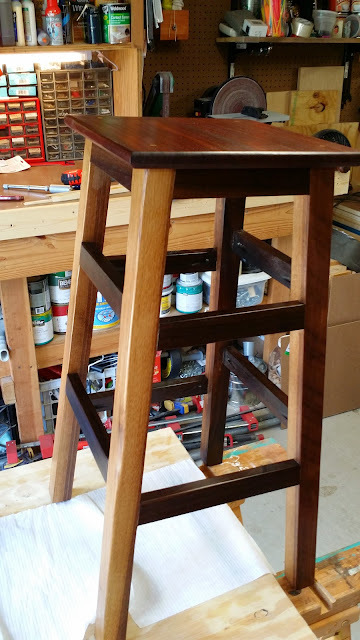 While standing is supposed to be better for you, I also enjoy having the kids join me from time to time, and visitors, and everyone needs a place to settle occasionally. 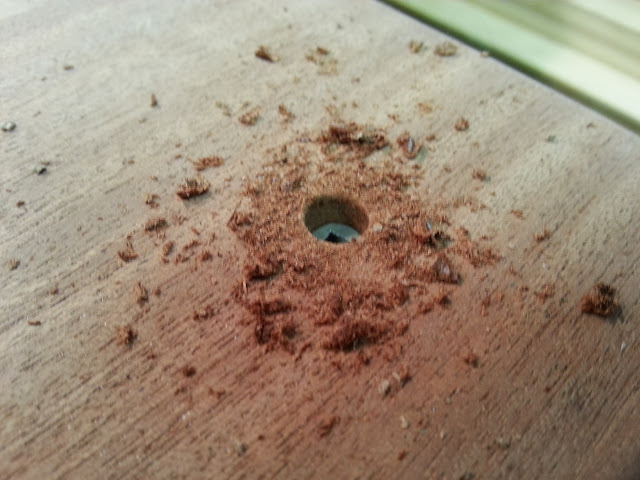 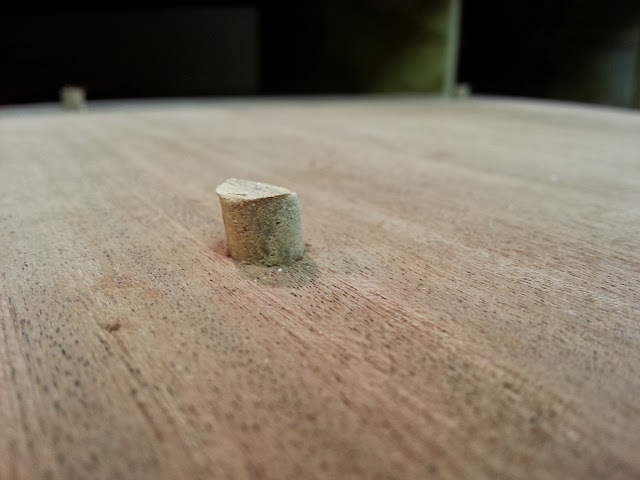 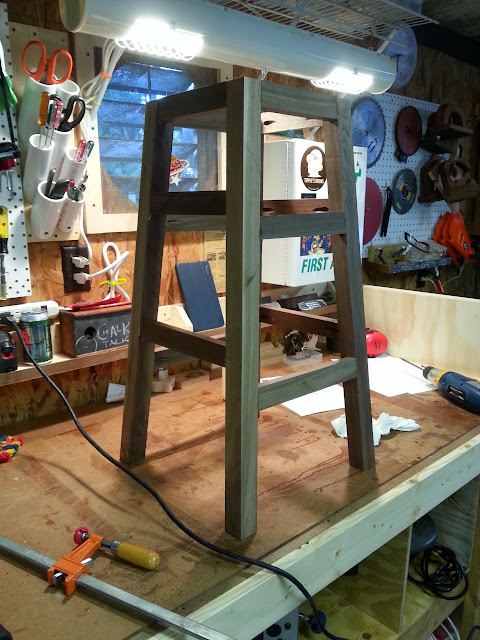 So I found a nice, simple plan from Ana White for a stool. 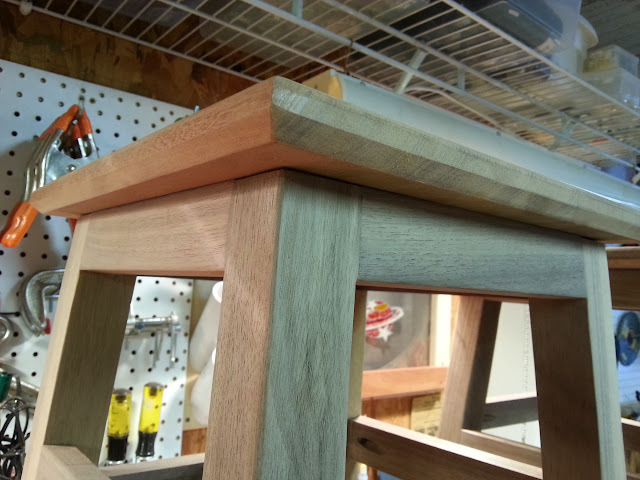 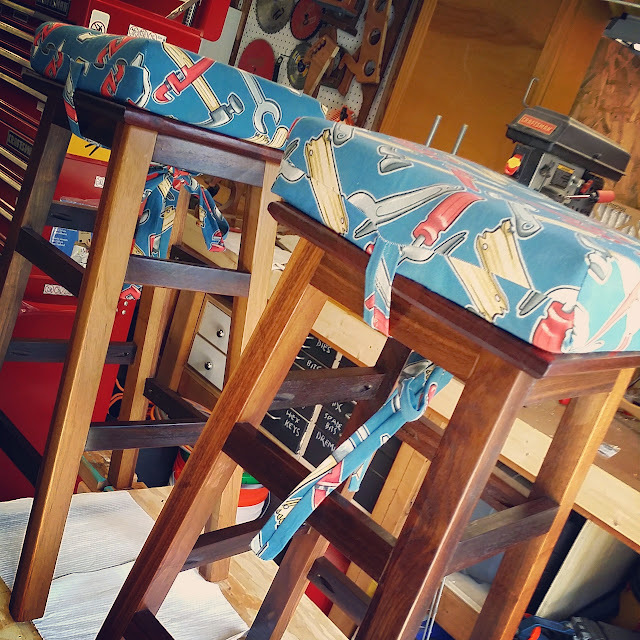 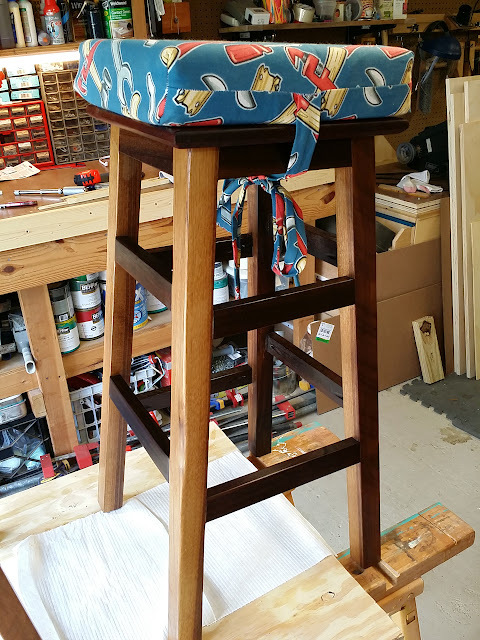 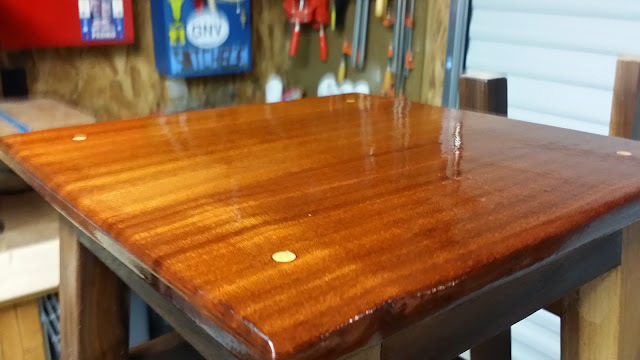 I had to enlarge the top of the stool to 12″ x 12″ to allow the cushions my wife had made me years ago to sit on top. 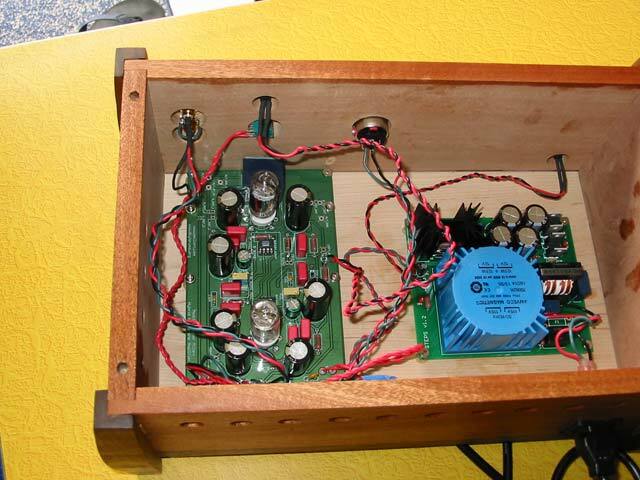 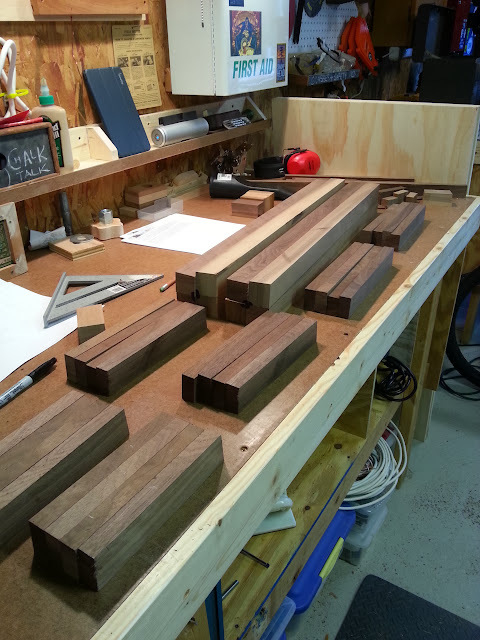 I ended up using walnut for the legs and rungs, and sapele for the top, with a few contrasting poplar plugs in the screw holes.